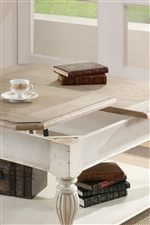 Bring a rustic charm to your living area with the Coventry Lift-Top Coffee Table. 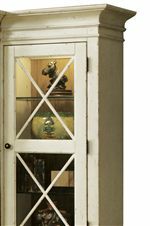 Crafted from Hackberry hardwood solid and Ash veneer, it is square in shape and features a country style two tone finish in Weathered Driftwood and Dover White. 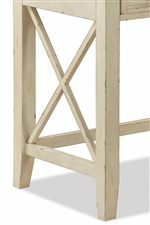 A lift hinge moves the front half of the top panel up and forward, allowing you to more effectively make use of the table for eating, working, and more, and a fixed bottom shelf provides space for setting home accents and decor. Convenience at its finest, this table is also equipped with caster for convenient mobility. (Note: Never roll casters on unprotected hardwood or vinyl flooring). Pair with the coordinating end tables and sofa tables to complete your home. 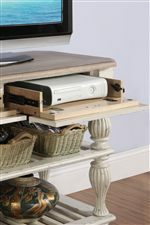 The Coventry Two Tone Square Lift-Top Coffee Table with Fixed Bottom Shelf by Riverside Furniture at AHFA in the area. Product availability may vary. Contact us for the most current availability on this product. Wood & Finish Our finishing processes involve several steps of hand sanding, applications of several types of finishing coats, padding and polishing. Storage Fixed bottom shelf. Equipped with casters for convenient mobility. 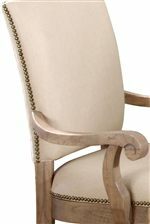 The Coventry Two Tone collection is a great option if you are looking for Transitional Transitional furniture in the area.